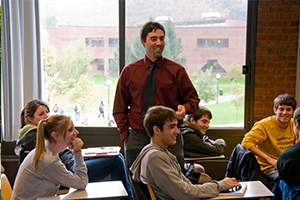 The 18-credit History minor is offered by the HGEP Department. Upon completion of the History minor, students will be prepared to understand the role of the past in causing current events, conflicts, and problems, and its richness as a source of possible solutions. and complete 12 additional credits in History (HIS) at the 2000-level or above. Note: No more than 3 credits of Independent Study, and no more than 6 credits in other disciplines cross-listed under History, may be used to fulfill the requirements of the History Minor.